Buzz Aldrin and Neil Armstrong in training for the Apollo 11 mission. 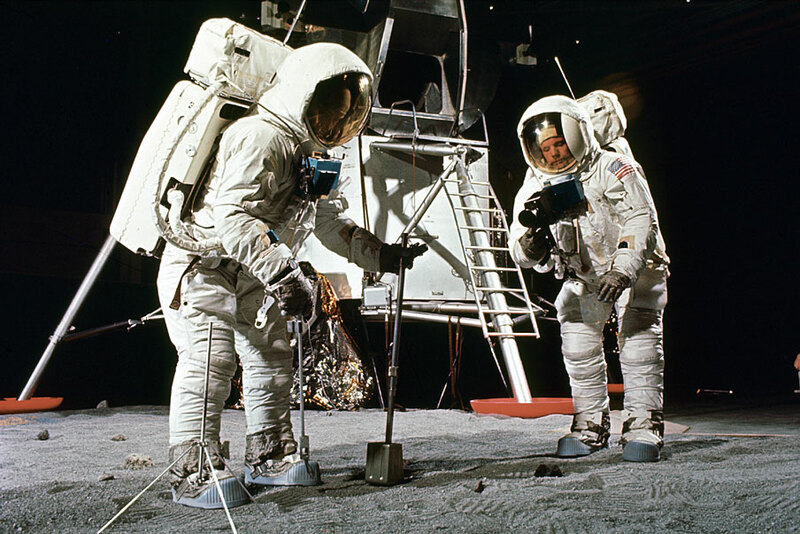 Aldrin scoops up a soil sample, while Armstrong aims his camera. Photo by NASA. Click for larger version. I’ve been an avid follower of the 40th anniversary of the Apollo 11 lunar landing this week. Although it’s a bit on the side of what I usually write about, I want to celebrate this great leap by taking a look at the cameras Neil Armstrong, Buzz Aldrin and Michael Collins used to take those iconic pictures from the Moon and of our Earth. You are currently viewing the archives for July, 2009 at The Sterile Eye.